You can no longer save certain games to your inventory for later use. 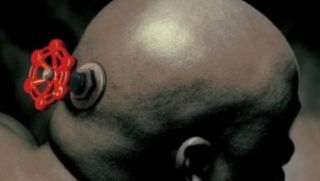 Yep, I'm breaking out that image of the dude with a literal valve in his head, to illustrate news that Valve has implemented tougher regulations for the process of gifting things on Steam. You'll no longer be able to save VAC and Game Ban-enabled games to your inventory for later use, and if you gift a game to someone who then gets permanently banned, you won't be able to gift the same game again. "When a user is caught cheating, their Steam account is banned from playing multi-player on secured servers. This creates an incentive for people who cheat to stockpile copies of games on one account and to gift them to low value accounts where they can continue cheating. In response to this problem, Steam no longer allows users to purchase copies of VAC or Game Ban enabled games to their inventory. Additionally, if an account has directly gifted a game to other players who have been VAC or permanently Game Banned, then that account will lose the ability to gift that game. "We’ve taken these steps to ensure the integrity of the multi-player experience for those participating in online gaming communities. We understand that the restrictions on buying to inventory may be inconvenient for some legitimate users, but we believe that these steps will reduce the number of cheaters you’ll play against. And that’s important in having an online gaming experience that’s fair and enjoyable for everyone."